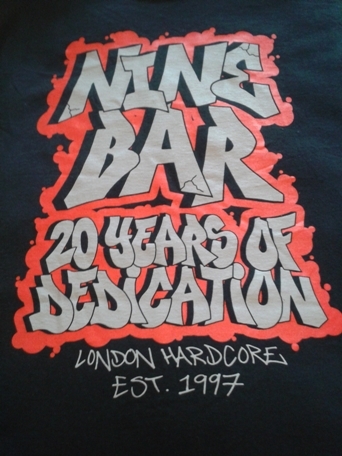 Brand new Ninebar shirts celebrating their 20 years in the game! Silver and red print on black shirts. Still available in S and M.